Why should I have my pet fixed? Animal shelter's both private and public experience the incredible burden of dealing with the current pet overpopulation crisis in America. Every year millions of animals are euthanized at shelters each year, simply because there are not enough homes. 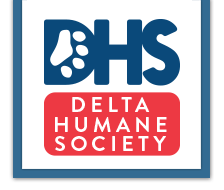 No-Kill shelters such as the Delta Humane Society & S.P.C.A. are hit even harder by this burden as they almost immediately fill their adoption facilities the moment an adoption occurs. Having your pet spayed or neutered will ensure that you are not contributing to this growing crisis. 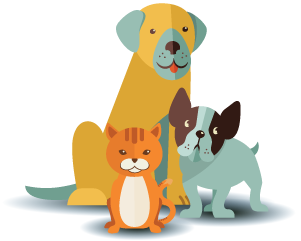 Pet overpopulation is a major problem facing the nation, and specifically the San Joaquin County region. According to the Humane Society of America estimates 6-8 million cats and dogs enter shelters every year. Of those, 3-4 million are euthanized by shelters each year. That number is more than 10 times the population of Stockton, California. Theoretically a female cat and her offspring can produce 420,000 cats in a seven year period. In a six year period, a female dog and her offspring can theoretically produce 67,000 dogs. In an article published in USA Today on June 23rd, 1998, US taxpayers spend an estimated $2 billion each year to house, euthanize and dispose of unwanted animals.